With its national footprint, Air2 has helicopters strategically located throughout the US and can mobilize them quickly to respond to emergency situations. 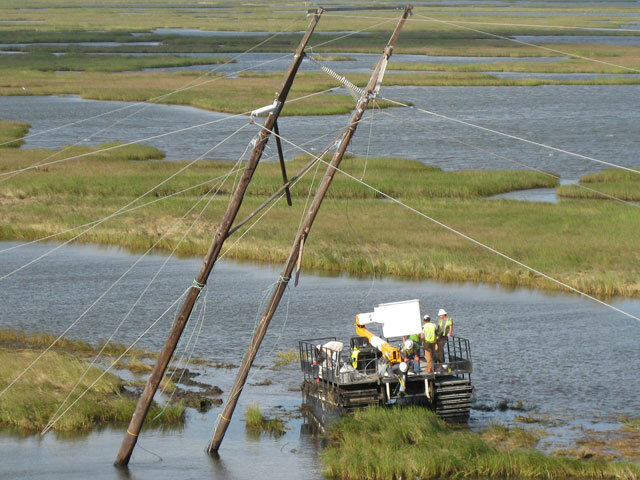 Our highly experienced emergency response teams have assisted electric utility companies in recovery from hurricanes, tornados, wind storms, ice storms, fire, drought and other natural disasters. Each emergency is unique, requiring different services and skills to help our customers. Air2 routinely pre-qualifies helicopter operators nationwide to assist when needed in emergency situations. This was demonstrated with Hurricanes Gustav and Ike, for which Air2 mobilized and managed 27 helicopters. On April 27, 2013, a deadly tornado with wind speeds up to 200 mph leveled Arkansas homes, schools and businesses. The devastation left behind spanned an area one-half mile wide by 41 miles long. 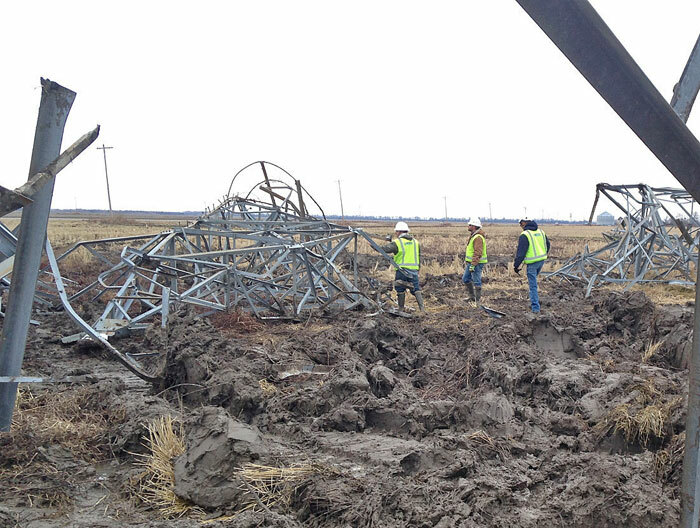 Several PLH Group companies, including Air2, Power Line Services and Auger Services assisted with the recovery effort. 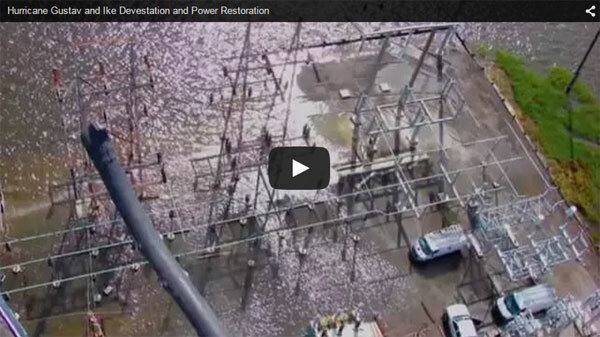 Air2 and Power Line Services worked together to restore damaged 500kV transmission lines. An extreme drought in Texas caused a build-up of salt, sand and other contaminants that would normally be washed away by rain on transmission towers in 2011. 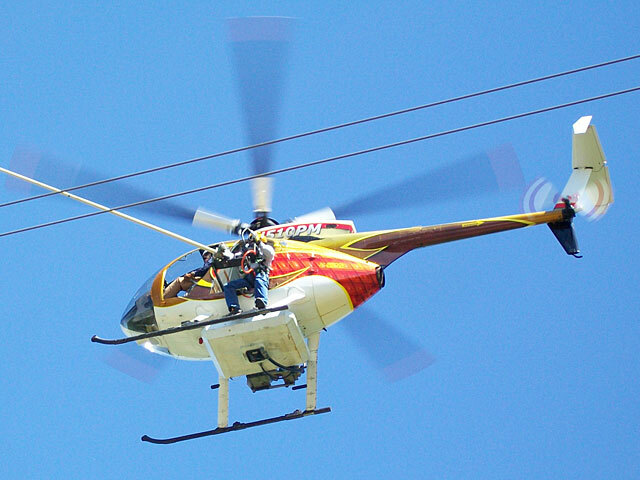 CenterPoint Energy called on Air2 and its MD 500 helicopter crews to spray-wash the high voltage transmission insulators to maintain their performance and safety. Three days before Hurricane Gustav hit the Gulf Coast, Entergy Services asked Air2 to send 27 helicopters to Baton Rouge, Louisiana. Air2 immediately dispatched four of its own aircraft with line work crews and then contacted its network of helicopter operators to supply the balance. The entire fleet was moving into the Baton Rouge airport staging area within 48 hours of the initial customer call. Once on site, the MD 500 and Jet Ranger helicopter-based crews assessed the damage. Larger aircraft transported personnel, while heavy-lift helicopters cleared trees from power lines and removed irreparably damaged structures from rights-of-way. 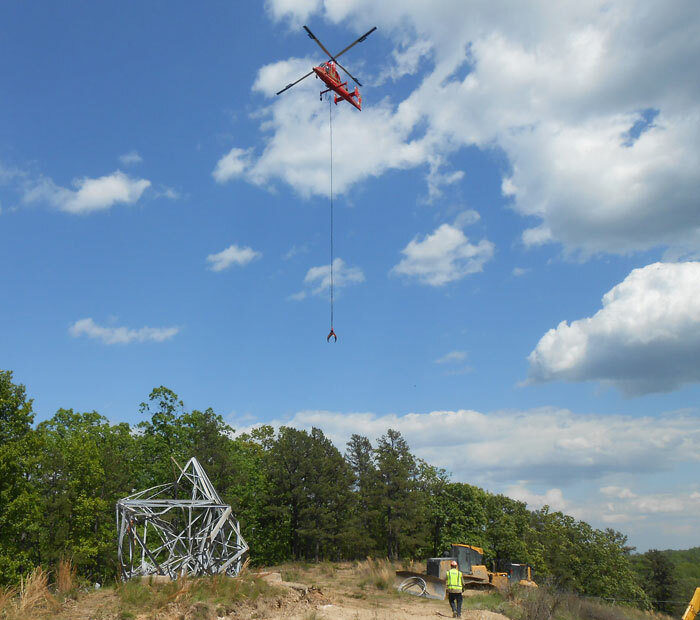 Air2’s MD 500s and its line work crews teamed with the medium and heavy-lift helicopter operators to rebuild power line structures. Then came Ike. While this hurricane approached, some of the fleet in Baton Rouge staged to support Texas damage. Eleven additional aircraft were deployed. Responding to an all-out, send-everything-you-have request, Air2 crews picked up motor homes and supplies from all over the country and mobilized to Baton Rouge, Louisiana, and Beaumont, Texas, to join the massive disaster relief and reconstruction efforts following the devastation in the wake of Hurricanes Rita and Katrina. 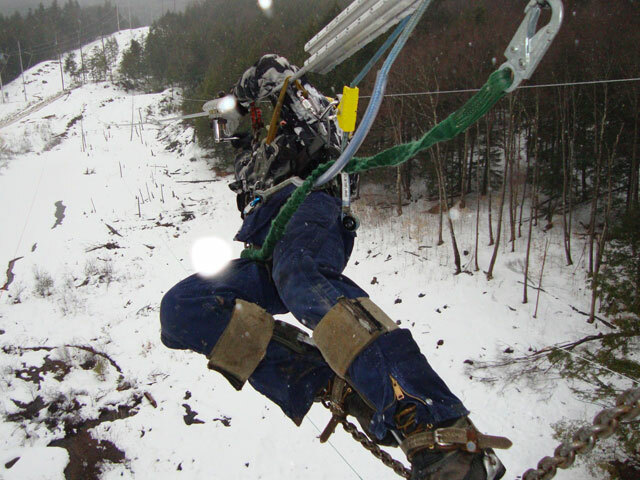 Air2 services included initial damage assessments, patrols and inspections, cleaning up and clearing out debris, effecting repairs and restoring power to transmission lines critical to the nation’s oil refining capabilities. Air2 utilized its MD 500 work crews combined with KMAX medium-lift helicopters. 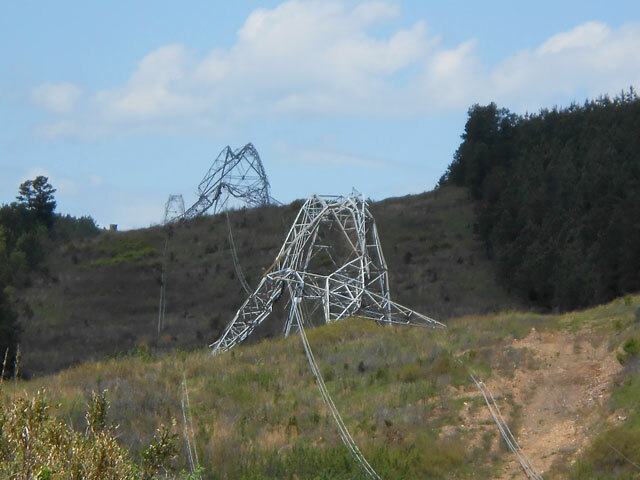 In 2005, Maine was hit with an unexpected ice storm that damaged power lines and caused widespread outages to more than a million utility customers. Air2 aided in storm damage recovery, providing MD 500 helicopters and crews to help restore power.